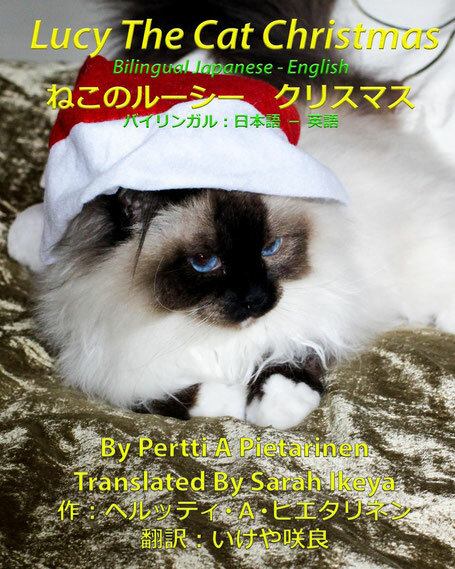 Lucy The Cat Christmas is the fifth book in the Lucy The Cat series. Lucy tells us how she celebrates and enjoys Christmas. Lucy wants to help her human mom and dad in all Christmas preparations. Christmas tree is fun to set up and decorate. She likes to play with candles, garlands, candy canes and other decorations. She needs to be careful not to fall down from the tree. And the tree is also an excellent hiding place.Lucy loves flowers and Christmas carols and sings with others. What a joy it is to find out a toy mouse in the stockin!. Action will be guaranteed for the whole holiday season.After running and playing the tired cat feels happy to go to bed and enjoy Christmas love and peace.